More seafood is being supplied to the local market this year with lower prices due to increased production. 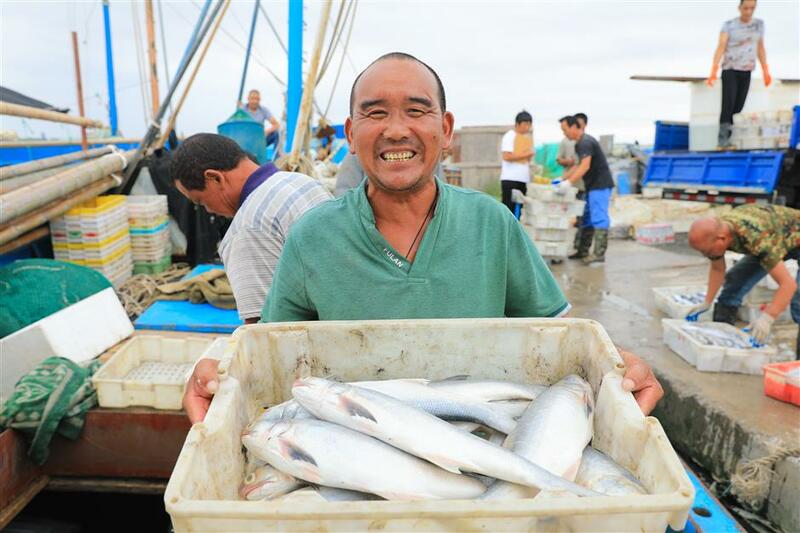 A fisherman shows off the fish he caught from the East China Sea. A fisherman at work near Luchao Port in Pudong. 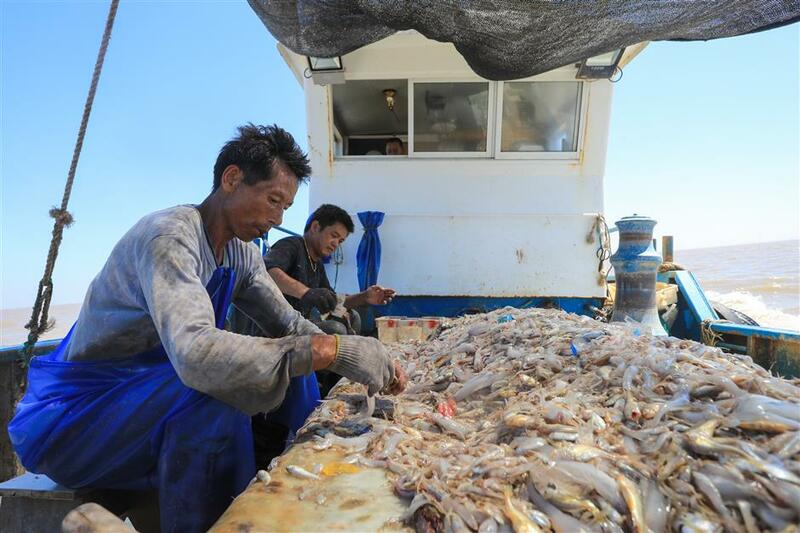 Fresher and cheaper seafood is the order of the day as the annual summer fishing ban in the East China Sea is over. About 50 registered fishing boats have set out from the Luchao and Sanjia ports in the Pudong New Area every day since the ban ended three weeks ago. They have been bringing back large amounts of fresh fish, shrimps and crabs for local gourmets, the Pudong government said on Wednesday. Popular local varieties include the hair-tail, yellow croaker, cuttlefish, sea eel, strip shrimp, swimming crab and mussels. Some fishing boats can capture a ton of such sea products each every day, according to the district’s agricultural commission. 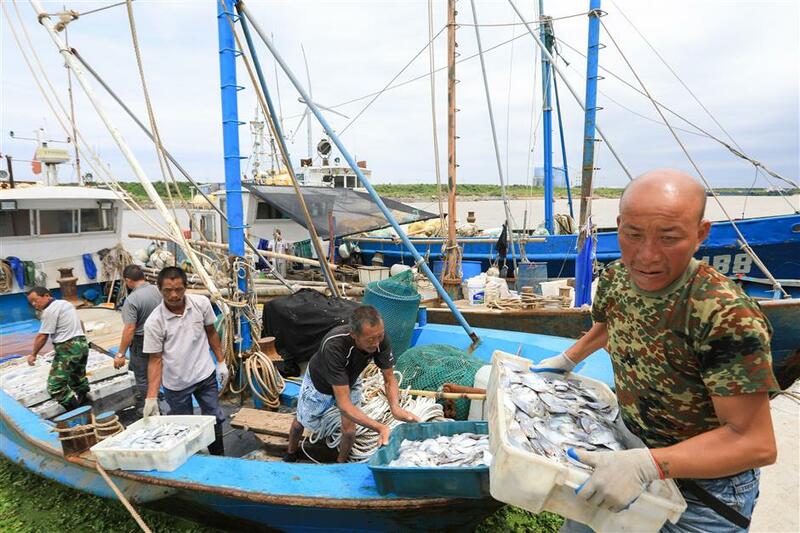 This year’s fishing ban, the longest and strictest ever, began on May 1 in the East China Sea, the Yellow Sea, the Bohai Sea and the South China Sea. Law enforcement officers with the commission have stopped 14 illegal fishing cases during the fishing-off period this year, an official with the agency said. Fishing boat crews unload their catch at Luchao Port in Pudong. More seafood will be supplied to local market with lower prices this year due to an increase on production, said Zhou Qiuping, an official with the China Fishery Association. The price of the popular Suozi swimming crab, or shuttle-shape crab, for instance, has dropped to 80 yuan (US$12.30) per kilogram from 120 yuan in previous years, said Tang Xinjian, a seafood restaurant boss at Luchao port. His restaurant has been filled with diners every day, mostly residents driving to the port to taste fresh seafood, he said. The stripped shrimp, another popular local delicacy, is being sold at 96 yuan a kilogram at local wet markets compared with over 160 yuan in previous months, a stall owner at the Sanjiaodi Wet Market in Hongkou District said. 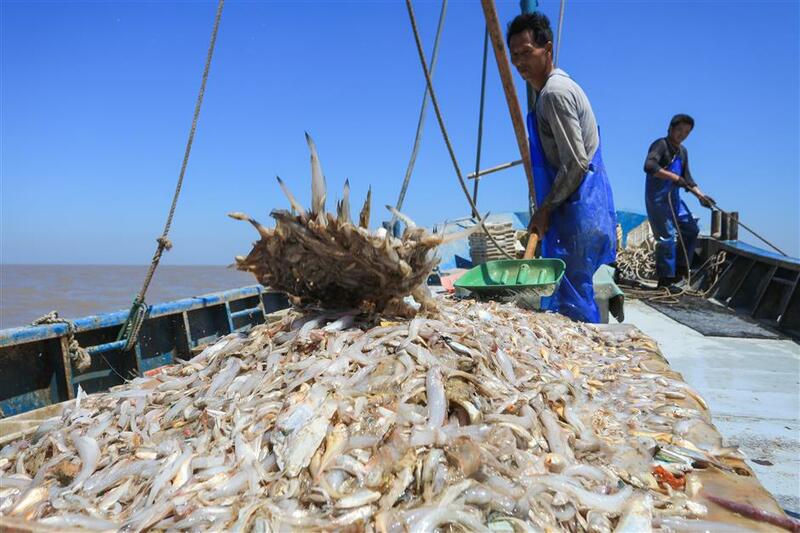 More seafood from the South China Sea will be supplied to local market soon to further reduce prices, Zhou said. Fishermen sort out their catch.